The Tao of Gini: Proceed with Caution. 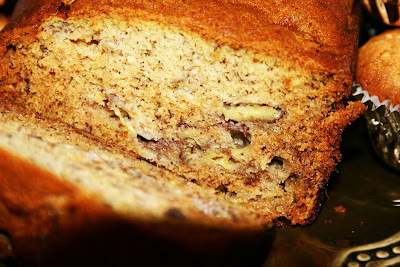 a week or so, that I MUST make banana bread. that I MUST make banana bread. I admit it, I am disgusting at times. But I am busy, dammit. We turned NAS.TEE into TAY.STEE. I used Tyler Florence's recipe from Food Network. CLICK HERE for the fabulous recipe. I omit. This time I added teeny chocolate chips to the muffins. I love that my kids like to help in the kitchen. I love that those horrendous bananas are gone. I love that I got to share a nice little treat and a cup of coffee with my husband last night. 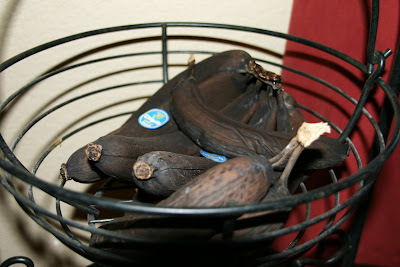 Those are some dark bananas! 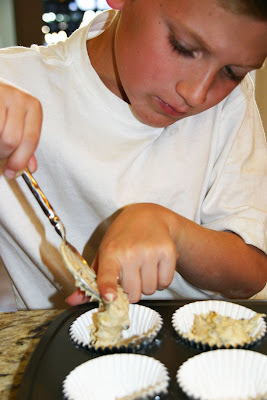 I love that your kids enjoying helping in the kitchen - so awesome. I read a little tip that you can put your bananas in the fridge once they're ripe. 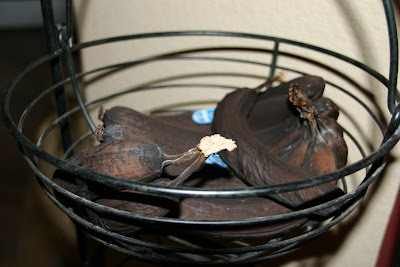 The peels turn black but the ripening process stops. I wish you'd eat coconut. 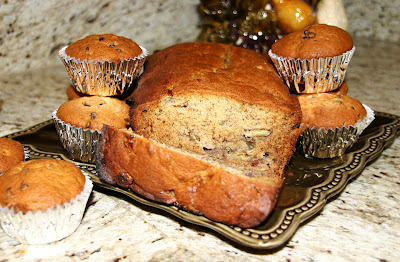 The Barefoot Contessa muffins I make when I have leftover bananas are TO DIE FOR! Same deal - mashed and diced bananas. I must make some again soon...maybe next week while you're here. That's a lotta black, baby! 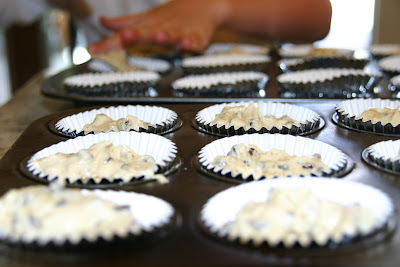 The muffins look amazing, especially with the choc chips, and I love that your kids are working it in the kitchen! Oooooh! That bread looks so good! Think I might even try that recipe. Yummy. 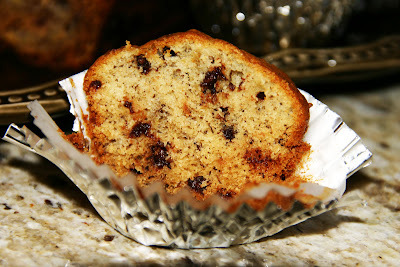 Bananas & chocolate chips are SO good!! YUM-MO!! 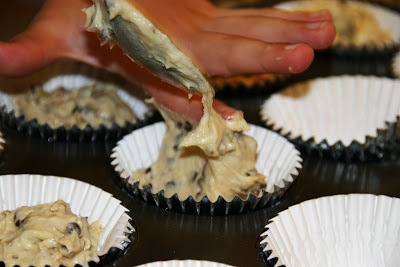 Kimmie - please freeze a muffin for me if you make those bad boys! oh Gini, to come home to the smell of fresh baked muffins... and to see the twinkle in Connors eyes as I enjoyed these heavenly muffins.. I'm going to sit out back and enjoy the sun rising and feel the warmth on my face as I relapse into my childhood and remember all the home baked goodies I had growing up.... I just so love your muffins! !